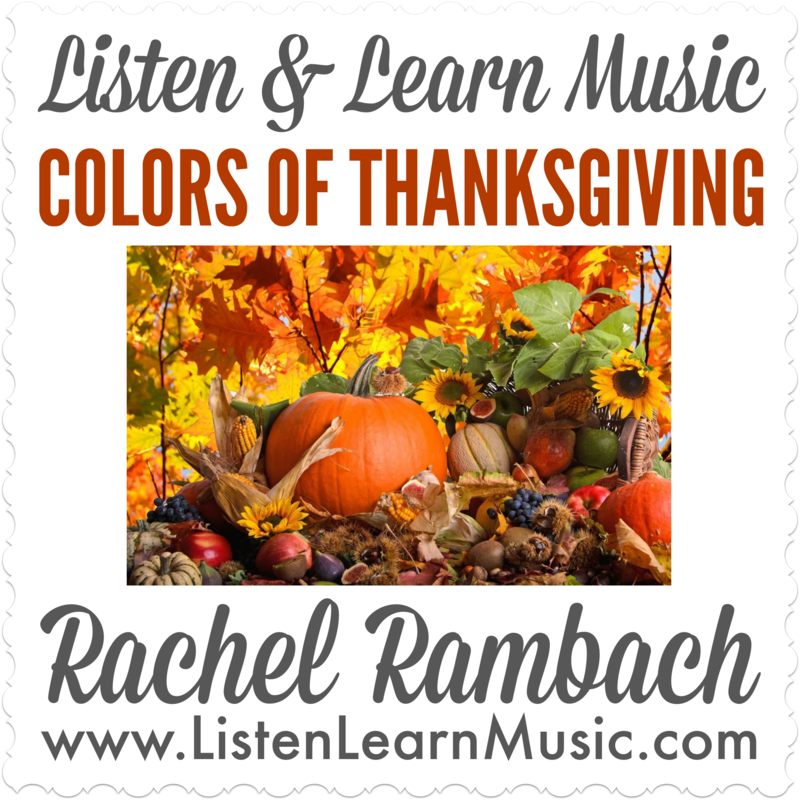 There are quite a few Listen & Learn Music songs about Thanksgiving, and several of those Thanksgiving themed songs address educational skills. Talk about doing double duty: songs that are educational and holiday-themed? That’s what music therapists’ dreams are made of! “10 Days of Thanksgiving” is a piggyback version of the song “The Twelve Days of Christmas”, featuring different Thanksgiving foods in each verse. This song comes with accompanying visual aide, which of course, I promptly printed and laminated in preparation for the Thanksgiving season! “10 Days of Thanksgiving” is a great song for exploring Thanksgiving foods, as well as counting backwards from 10 and sequencing. Although there are 10 verses, it may be appropriate to reduce the number of verses for some students. I encourage all of my students and clients to identify the Thanksgiving food shown in the visual and then correctly sequence the numbers. The “10 Days of Thanksgiving” combines important skills — counting, sequencing, and even working memory — with the best part of Thanksgiving: food! “Colors of Thanksgiving” is a sweet song that details the beautiful colors we see this time of year. The “Colors of Thanksgiving” allows for another opportunity to explore the Thanksgiving holiday and all of the iconic imagery associated with it. I created visuals of each color and encourage my students and clients to match pictures that are the same color. For an added challenge, I sometimes use grayscale pictures to explore whether my students and clients know what color each object is, such as a pumpkin or a heart. “Colors of Thanksgiving” also lends itself very well to utilizing sign language, and pairing the signs with the keywords of each lyric. Sign language is excellent for practicing fine motor skills and my kiddos love it, especially as they become more familiar with each sign. 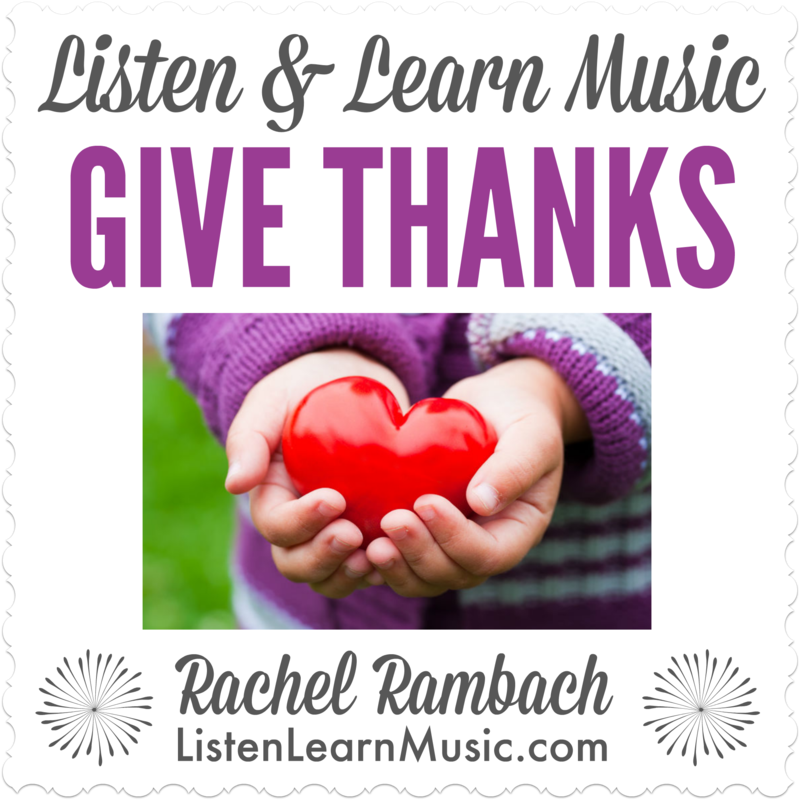 Another song that is appropriate for the Thanksgiving season and also incorporates fine motor skills is “Give Thanks”. Although it could be used any time of year, this song’s themes of thankfulness and expressing gratitude fits in perfectly with the rest of the Thanksgiving repertoire. In “Give Thanks”, children are encouraged to show expressions of friendship, acceptance, and thanks through gestures, including high fives, peace signs, the “ok” sign, and thumbs up. I also like to utilize the sign language for thank you, and most of my students and clients enjoy doing so as well since most of them already know that particular sign. Holiday themed songs can focus on so much more than just the holiday itself, and by incorporating additional educational skills into each song, they enrich our music therapy sessions and music classes during this time of year. 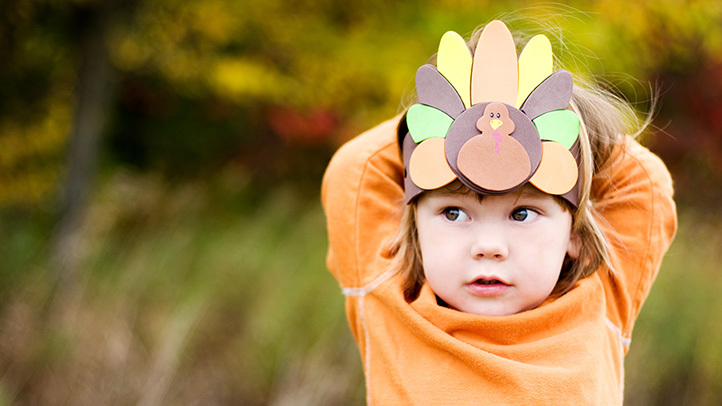 Tell me in the comments: what educational skills have you incorporated in your favorite Thanksgiving themed songs?